Last month I second shot Laura & John's wonderful wedding with the awesome Kari. It's pretty much a known fact that she gets the most awesome weddings of all, so I wasn't surprised (ok maybe I was a little) when I walked into a rustic barn decorated with £400 worth of christmas lights...!! It looked insanely good. 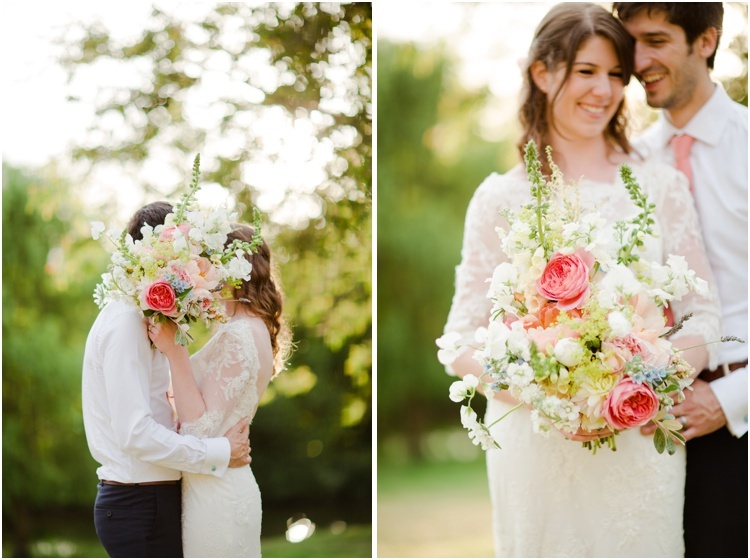 Laura & John's family had spent the day before the wedding collecting flowers from their own gardens to decorate the venue - again, it looked absolutely stunning. When the music begin for Laura to walk down the aisle I had goosebumps all over: it was Holocene by Bon Iver, my favourite song ever. Good music and good vibes carried on for the rest of the day, ending with a pretty epic sunset. Can't really think of a better way to spend a Saturday.